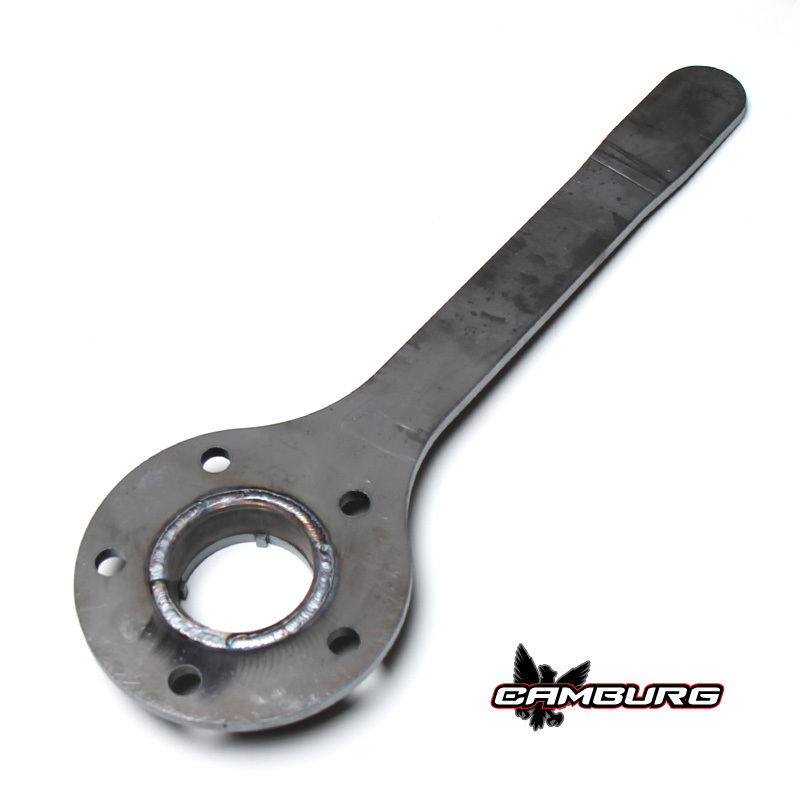 Our 2.25 hub wrench is laser cut from 3/8″ steel that’s 22″ long, then TIG welded together. This wrench gives you the ability to properly tighten the nut without it slipping off as it registers onto the nut and the hub. This fits N-11 spindle nuts. 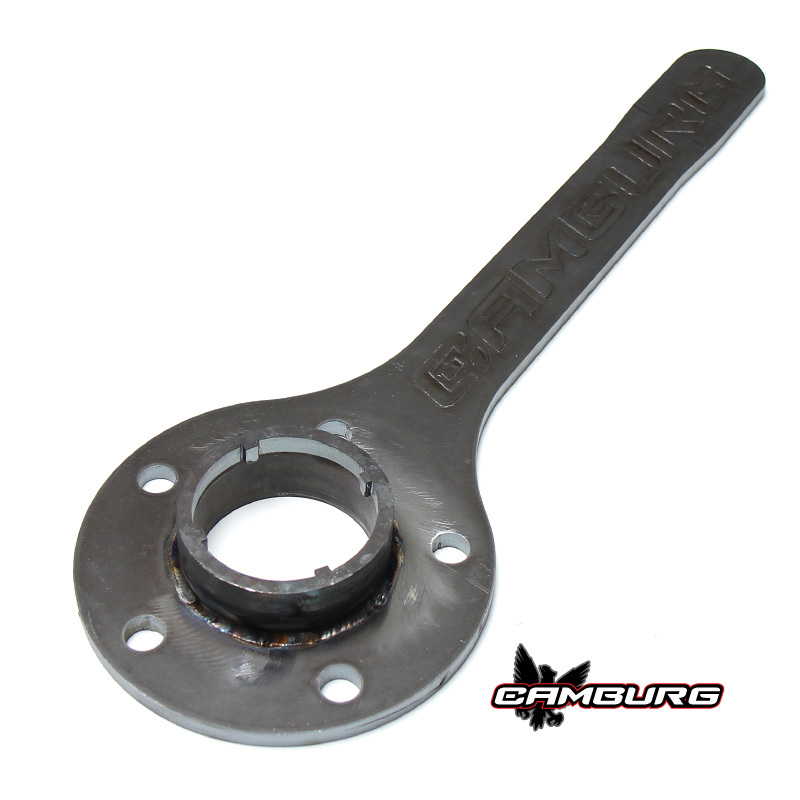 The wrench is hub specific so select the bolt pattern you’re using.